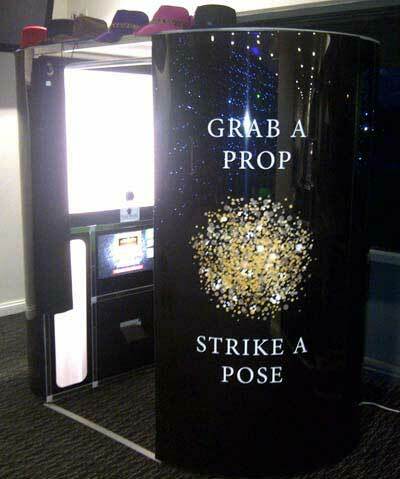 Our photo booth hire is a great addition for special occasions such as weddings, birthday parties, receptions, proms and balls. 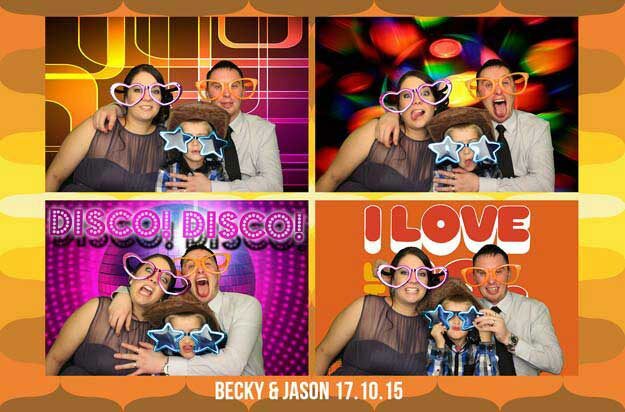 Not only will your guests get to take home photo mementos of the occasion but you will have your own CD containing a digital copy of each photo taken in the booth during your special occasion so you can see exactly what fun people got up to! 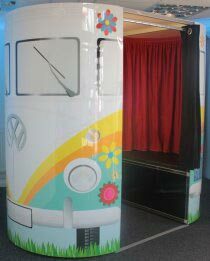 Our photo booths come in several different body designs and you can choose from white chesterfield, gloss black, retro VW camper, Vegas theme, or Christmas Grotto for festive events. Our sit down photo booths can be configured to run in one of four options: The Green Screen Dream Machine photo booth with amazing selectable green screen backgrounds and modes giving over 1000 background/print combinations, Seven Theme Green Screen, Fixed Green Screen using one to four set backgrounds (ideal for themed events) or as the Classic Fun Booth with both photos and optional video messaging using a traditional cloth background curtain. In addition to these sit-down type booths we also have the compact Selfie Pod, and the Magic Selfie Mirror. Users become immersed in a choice of 10 themed background and foreground images putting them in the heart of the action and interacting with the themed images. Travel to the 7 continents of the world with beautifully themed greenscreen sets including Europe, Africa and America. Travel back in time from Ancient Egypt and the Age Of Piracy to The Wild West and Prohibition with carefully created greenscreen themes. Your head on a diddy funky body with a choice of 5 different themed sets including Super Hero's, Outer Space and Muscle Beach. Become the star on the cover on a choice 'spoof' magazines. 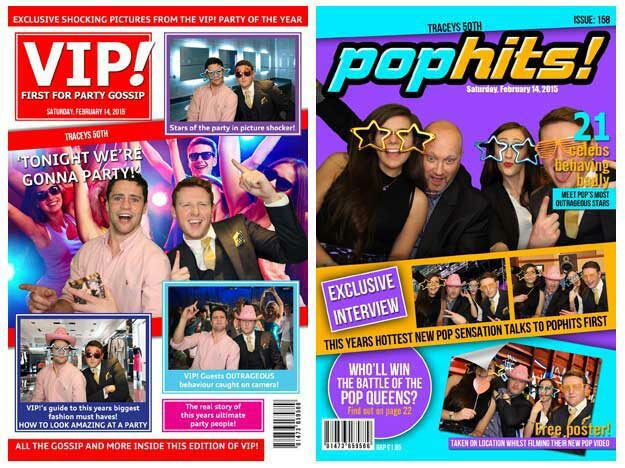 Party hard in 'VIP magazine', become the gossip in 'THE BOOTH' or the star on the cover of 'POP HITS'. There's also a Wedding style magazine, 'Top Steer', and 'Millionaire'. The Green Screen Dream Machine features selectable print layout allowing the user to choose how their 6"x4" photos are printed, choose from classic double strips, 4 large photos, 1 large 4 small or our new photo mosaic layout. Users can also choose between colour, black and white, or vintage sepia photos. 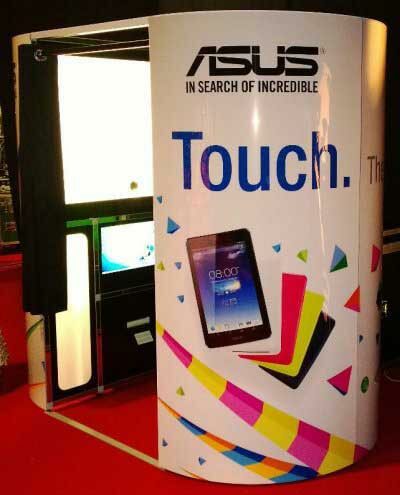 Don't worry if you think there's too much choice as there's a 'Lottery' option where the booth will choose for you! If you think the Green Screen Dream Machine may include too many options we can run the booth in the more restricted ‘Seven Theme Green Screen’ mode where your guests choose from the following themes via the touchscreen menu: Disco Fever, Hollywood, Beaches, Around the World, Underwater, Mystery, & Digitally created background curtain. The Mystery folder can be set to any theme you’d like if required – we can try and source images for you or you can supply your own. Prints are 6x4in with the four photos laid out in a 2x2 format. Ideal for themed or corporate events the choice of backgrounds is disabled and the backgrounds of the four photos in each sitting are set. You can have the same background for each photo, maybe a company logo, or four different ones which is ideal where you want to follow a set theme. Booth with traditional cloth curtain background. 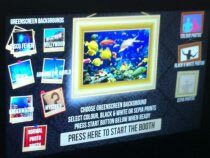 Full touch screen menu so each individual ‘sitting’ can choose between colour, black and white, or vintage sepia photos. Guests can choose their print format preference via the touch screen from either one 6x4in print with the four pictures in 2x2 format or two separate 6x2in strips of the four photos. Video Message recording – guests can record a short message to their hosts. Video messaging can be disabled if you’d prefer only photos. 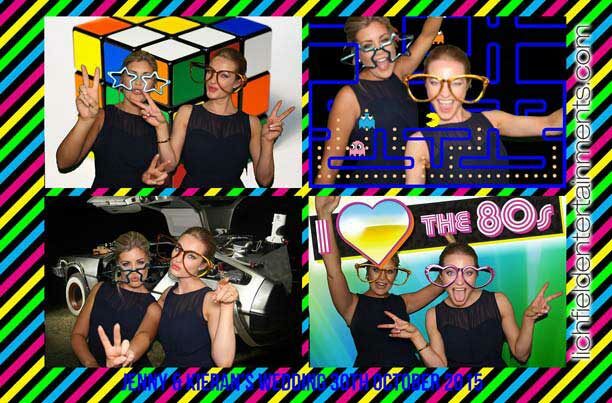 Our photo booths are fully automated so although we'll have a uniformed member of staff on hand for the duration of the event to ensure the smooth running of the equipment your guests can relax and have fun in the privacy of the photo booth for some perfect pictures. Choice of Colour, Black and White, or Sepia photos selected via the touchscreen menu. Unlimited photo 'sittings' during the hire period with a 6x4in print containing the series of the four photos printed within seconds. A USB stick containing digital copies of all the photos for the host of the event. This is produced and handed over at the end of the event so no need to wait for one to be posted. A big box of fun props including wigs, hats, glasses, etc for added humour. Arrival to set-up 90minutes before the agreed start time. Equipment packed up and removed upon completion of the hire session. Earlier set-up or delayed pack-away. Duplicate prints and guest book. 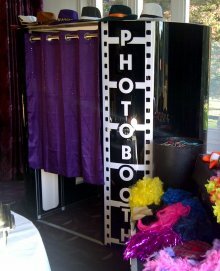 The photo booth breaks down to be totally portable and will fit through the narrowest of single doors. 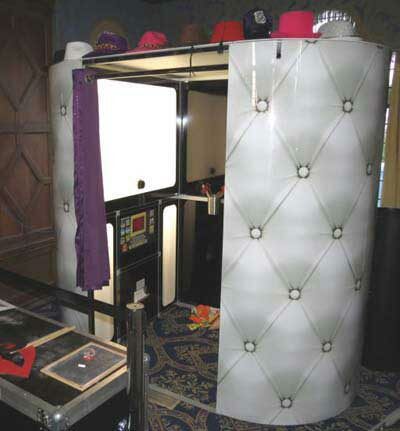 The photo booth requires an overall operating area of just 9x7ft with a height clearance of 6ft 10in - if space is an issue then take a look at our compact Selfie Pod or the Magic Selfie Mirror. If the venue is not on the ground floor lift access will be required. Access to a normal 240volt mains electric supply will be required for power. 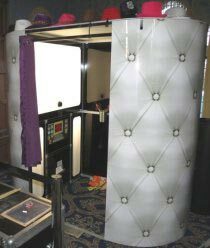 Due to the electronic equipment involved the photo booth must be used either indoors or inside a totally watertight and heated marquee that has a solid and level floor. 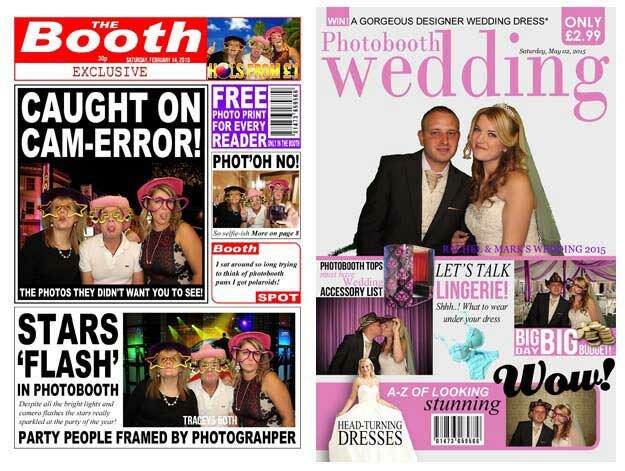 To obtain a quote for the hire of a photo booth for your event please contact us and we'll be happy to help. 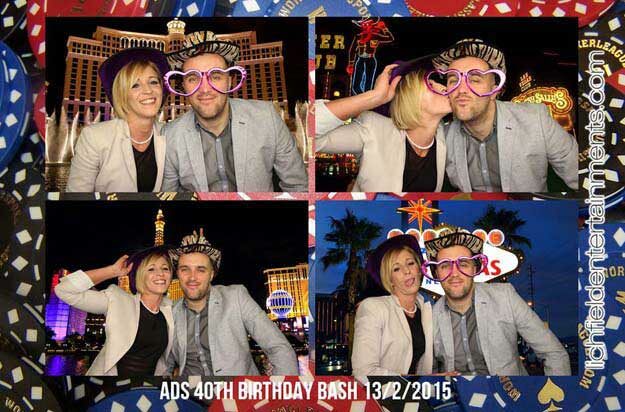 We provide photo booth hire to events throughout much of the UK including Birmingham, Castle Donington, Coventry, Derby, Evesham, Hinckley, Leicester, Lichfield, Loughborough, Oxford, Redditch, Shrewsbury, Solihull, Stoke on Trent, Stone, Stratford upon Avon, Sutton Coldfield, Warwick, Worcester, Cheshire, Derbyshire, East Midlands, Gloucestershire, Leicestershire, Northants, Nottinghamshire, Oxfordshire, Shropshire, South Yorkshire, Staffordshire, Warwickshire, West Midlands, Worcestershire. 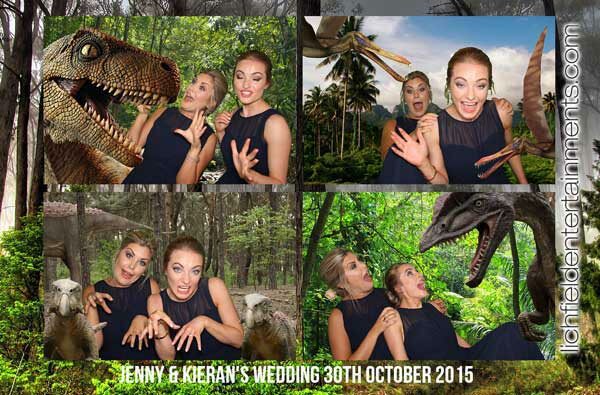 Having supplied events at all of the above previously we are familiar with these venues and know that both access and space are suitable for our Photo Booths, Magic Selfie Mirror, and Selfie Pod.